Completing an inpatient rehabilitation program is a huge milestone that should be celebrated. However, because recovery is a lifelong process, it’s just as important to know what to do after inpatient treatment is complete. In many ways, the hardest part of the journey begins after exiting the safe cocoon of rehab. Whether you are in recovery yourself, or you are supporting a loved one in their recovery, here are some tips to keep in mind. Coming home can be a jarring experience for someone in recovery. While you’ve been away healing, life has gone on without you, so it’s important to reassess the environment that awaits your return. What triggers are in your home? Are you strong enough to withstand any temptation, or what changes can you make? These memories may create strong cravings for someone who is freshly sober. Consider moving if temptation will be too great in your old environment. Also, it’s helpful to stick to a schedule. Most rehabilitation centers are extremely structured, and it’s important not to have too much free time, once you’re on your own. A routine helps stabilize your schedule and leaves less time to think about using again. Helping someone else through volunteering is a great way to fill your time, and research shows that giving back helps recovering addicts to stay sober. Someone newly sober should be sure to prioritize their mental health. The majority of addiction problems begin with self-medicating, to cope with some form of mental illness or trauma. Therapy, support groups, and check-ups are all ways to stay accountable and deal with the underlying issues that lead to addiction. The rehab facility will likely work with you on an outpatient treatment plan, once you complete the inpatient program. Once you have a plan, stick to it. 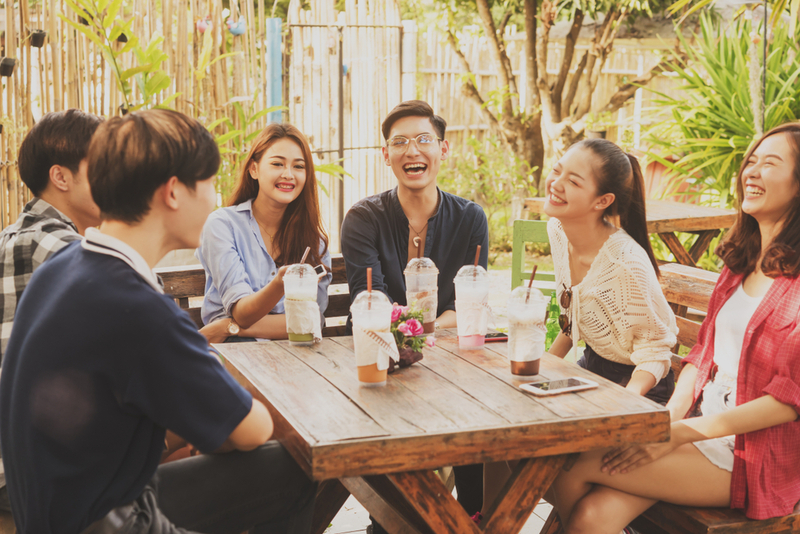 Whether you are attending meetings, attending a supportive church, or are simply reconnecting with existing family and friends, a support system is critical to your success. Self-care also includes eating a nutritionally balanced diet and exercising. Endorphins released during exercise can help undo years of damage that addiction caused to the brain. Again, recovering addicts need a strong support system to succeed in their sobriety. It’s likely that your relationships have suffered, either because you holed up in the throes of your addiction, or you socialized mainly with other addicts. Surround yourself with non-addicts who will be a good influence for you, and get used to trying fun, new sober activities. You may even discover a talent you never knew you had. If your loved one is in recovery, try new things with them, such as a new sport, painting, exercise classes, gardening, or going to the movies. Relapses don’t happen instantly or even overnight. Rather, they are the result of a backslide into former behaviors and bad decisions that set you up to give in during a moment of weakness. Be sure to constantly assess whether the choices you’re making are good ones. Concentrate on the healthy habits you learned while in treatment to relieve stress. Everyone has their individual breaking point, so don’t get too close to finding yours. Relapse is most likely to happen within the first six months, but recovery is a series of lifelong decisions, so don’t get complacent. If your loved one is in recovery, pay attention if old habits seem to be creeping back. Communicate any concerns you have with empathy, and remind them that you love and support them. Getting sober can be a rocky road, but anyone in recovery can tell you it’s worth it. At United Recovery Project, we’re dedicated to helping those with substance abuse problems to enjoy a successful, lifelong recovery. We can help you with the next step and advise you on what to do after rehab. If you, or someone you love, is struggling, please contact one of our specialists to seek help.